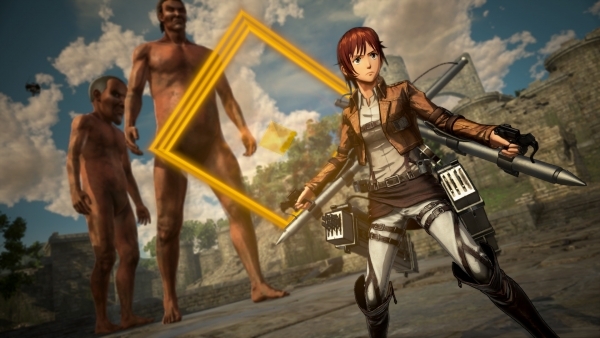 Koei Tecmo has released new information and screenshots of Attack on Titan 2: Final Battle introducing Territory Recovery Mode, new gear, pre-order bonus costumes, and more. Get the details below, via Koei Tecmo. Koei Tecmo America also released a fresh asset batch today to showcase these exciting gameplay features, as well as a first look at five new playable characters; Scout Regiment member, Nifa, 104th Training Corps cadet, Floch, First Interior Squad Captain, Kenny Ackerman, First Interior Squad member, Traute, and a mysterious man, Zeke–which might know more to the mystery behind the walls than he lets on.